This last point in particular emphasizes the most significant difference between MLP & truBrain: Whereas MLP delivers a lab-concocted mix of natural compounds, truBrain notches in a few synthetic drugs (i.e. racetams) in its tech-flavored design. While I wouldn’t go so far as to label MLP as “organic” (it’s technically not), it is relatively much cleaner than its counterpart in this review. Does this give MLP an inherent disadvantage? Or does a “healthier” formula entail healthier results? Mind Lab Pro or truBrain: Which is better? The benefit of liquid supplements is the potential of increased delivery (thus: quicker effects). The downside is the increased number of junk additives & unnecessary flavors. None of which are found in Mind Lab Pro’s clean, branded capsules. That’s: 11 nootropics covering 6 brain bio-pathways for 100% brainpower. Or at least that’s how Mind Lab Pro markets their formula. Typically, I’m suspicious of manufactured stacks that claim “100% brainpower”–which is to say: I’m suspicious of all manufactured stacks. Yet, MLP makes a strong case for itself by the ingredients it chooses (they’re all well-researched nootropics) and the quality of those ingredients (they’re all *mwah* como un beso: very good). Based on the individual bio-actions of each ingredient, MLP can be said to improve: Brain Energy, Brain Chemicals, Bloodflow, Brainwaves, Brain Protection, & Brain Regeneration. Frankly, I can’t think of much else you need in a nootropic supplement. Read my in-depth review on Mind Lab Pro. Original. The standard truBrain formula with caffeine. Boost. Swaps piracetam for Noopept, replaces CDP-Choline. Caffeine Free. The standard truBrain formula with caffeine. Of the 3, Boost is obviously the most powerful, replacing the mild piracetam with the much more potent “racetam-like” Noopept. Although, while Boost replaces CDP-Choline (or Citicoline) with uridine & centrophenoxine, I’d prefer they kept citicoline (which is two-parts choline & cytidine, a precursor to uridine) as its choline complements the cholinergic action of Noopept & oxiracetam very well. Plus citicoline is just a damn good nootropic. Either way, each variation of the truBrain formula possesses significant cognitive value in a unique, novel “Think Drink” container. (Just drink sparingly to avoid tolerance buildup to the drugs.) Read my in-depth review on truBrain. There are a few shared ingredients between these formulas (Citicoline, N-Acetyl-L-Tyrosine, L-Theanine), however it’s the differences in these ingredients as well as the ingredients unique to each formula that makes all the difference between Mind Lab Pro & truBrain. Citicoline (as Cognizin®) – truBrain & Mind Lab Pro have citicoline, but MLP sides with the premium Cognizin brand. Bacopa Extract (45% bacosides) – The Ayurvedic adaptogen bacopa, memory booster & cognitive enhancer, supplied in a potent 45% standardized extract. Lion’s Mane Mushroom – Lion’s Mane looks funky, but is pretty funkin’ cool, potentially regenerating brain cells by enhancing nerve growth factor (NGF) activity. Phosphatidylserine (as Sharp-PS®) – Multipurpose nootropic phospholipid & detox agent in sunflower-derived Sharp-PS form, rather than the cheaper soy-derived stuff. Pterostilbene – Resvertarol is a powerful antioxidant polyphenol, but pterostilbene is 4x more bioavailable. L-Theanine (as Suntheanine®) – truBrain also supplies L-theanine, but MLP sides with the premium Suntheanine brand. Rhodiola Rosea Extract (3% rosavins, 1% salidroside) – Standalone Rhodiola Rosea powder is great for physical & mental performance. MLP supplies the adaptogen in a spicy 3%, 1% standardized extract. B Vitamins – Mind Lab Pro has two B vitamins: Vitamin B6 (as “active” P-5-P) and Vitamin B12 (as the cyanide-free methylcobalamin). Noopept or Piracetam – Original truBrain supplies piracetam, “Boost” carries Noopept, which is essentially a faster-acting, powerful version of piracetam. Oxiracetam – Cool to see truBrain round out the racetam experience with oxiracetam, a nootropic drug anecdotally associated with enhanced logical thinking & reasoning. Citicoline or Uridine & Centrophenoxine – Original truBrain supplies citicoline, whereas “Boost” replaces it with uridine & centrophenoxine. Acetyl-L-Carnitine – ALCAR is the right carnitine form for energized brain activity due to its ability to cross the blood-brain barrier. Magnesium Glycinate – The /r/Nootropics redditors mention magnesium quite frequently for its purported benefits on learning & memory. Caffeine or Caffeine-Free – Mind Lab Pro just is caffeine-free. truBrain gives you options (although, there is no non-caffeinated version of the Boost drink). In terms of potency & quality (even quantity), neither supplement demonstrated any glaring issues. Matter of fact, both Mind Lab Pro & truBrain excel in this department, notable examples being: NALT form of Tyrosine, ALCAR form of Carnitine, Citicoline as the choline source, herbs in standardized extracts. Additionally, MLP supplies a branded form of Phosphatidylserine (as Sharp-PS), altogether wrapped in branded capsules (Plantcaps), demonstrating to me significant awareness of quality control. truBrain also impresses with its potent roster of ingredients, yet its overall design comes across as just a little unpolished relative to MLP’s extreme squeaky cleanness. Mind Lab Pro enhances brainpower for the long run. Mind Lab Pro accurately qualifies itself as the “Universal Nootropic”–an earned moniker for its diverse, near comprehensive range of all-nootropic ingredients. If MLP doesn’t solve your cognitive problems, odds are your problems are too serious or you don’t have any problems that need solving. And even in both categories, MLP still feels good, and only gets better over time. truBrain is delivers quick cognitive boosts NOW. Not that racetams, or even Noopept, are big-time, brain-pounding boosters (racetams are notoriously backed by subjectively-varied customer reviews), but it seems truBrain sold a significant chunk of its soul on these drugs. Namely because they’re likely to lose their edge over time (with exception to piracetam, which requires long-term supplementation). Noopept & caffeine in particular are great for quick cognitive boosts NOW, but tolerance buildup seems to be an issue with them, forcing truBrain users to use truBrain sparingly. With price being a non-factor here (a rarity in these comparison reviews), I’m allowed to squarely compare & contrast the nootropic power of each supplement, measuring each formula strictly on the merits of its quality, benefits, design, etc. 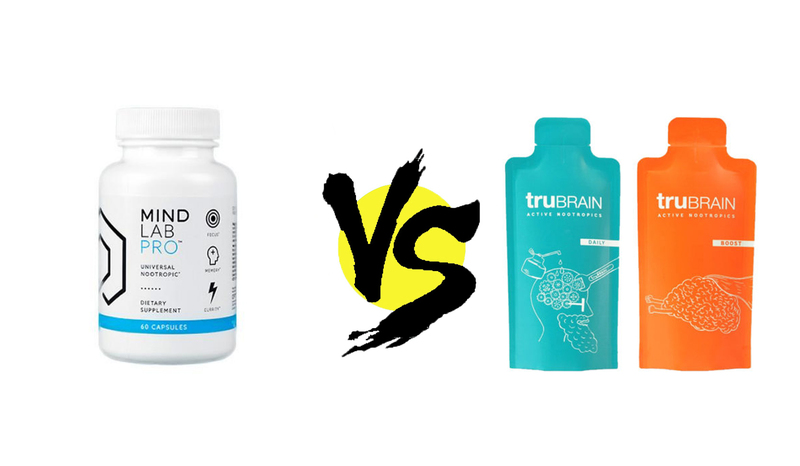 And while both supplements display exceptional nootropic power, I’m ultimately siding with Mind Lab Pro. truBrain delivers hard-punching brain boosters. However due to the druggy nature of its mental stimulators, tolerance buildup becomes an issue over time, progressively detracting from truBrain’s value over time. Mind Lab Pro, on the other hand, actually increases value over time, thanks to its synergy of natural brain bio-effects that help to sustain the inner faculties of your mental motors for the long-run. Perhaps truBrain delivers potent effects now. That’s groovy and all, but Mind Lab Pro delivers effects now and later. And that’s like… way better. Thank you for the in-depth comparison of the two. 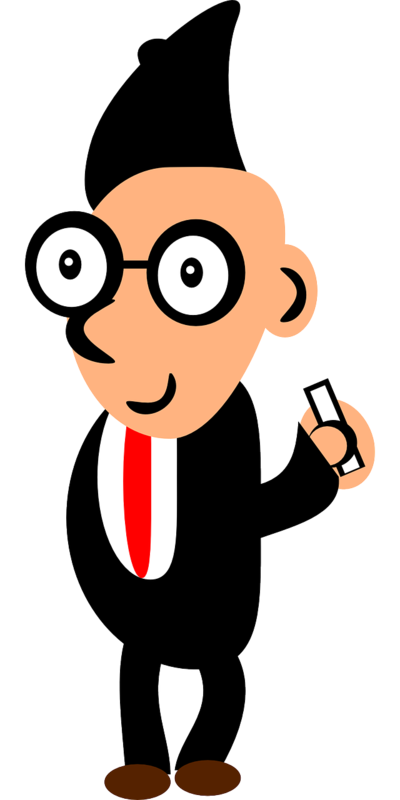 Is there a way I can email you to send you our nootropic? If you’re interested in a collaboration, I am the Brand Manager for Rocket Focus and we’re confident you’ll love our product.